Hi, I’m Alexander Kluge, the curator of the ZEEF UX page. I’m a remote worker and co-creator of the Colombian startup ON BOARD, an alternative education and travel program for small groups traveling 3–30 days in a selected country, learning from locals, seeing the country through their eyes and initiating transformative processes to benefit the local economy, communities and our participating travelers. I’m also the founder of Free Write Camp where you practice your writing in creative and hands-on writing exercises, and Coastery Camp, a writing retreat with workshops camping at the coast. In this article I’ve compiled a collection of 7 essentials (taken from my ZEEF page) to get you started with UX. UX is User Experience and cares about business goals and people’s desires using the product, website, app or service, especially in terms of ease and pleasure of use — which is why it is tightly connected to usability. It is often (not always) related to digital experiences in the web and apps. UX is generally an interdisciplinary field and not something you do (or a verb). Therefore it comprises aspects of media design, computing, computer science, psychology, culture, marketing, usability and much more (see resource 2). The basic foundation to understand UX is to put the user (human person) into the center of the design process, in a user-centered design (UCD) approach. You will often find the term UX Design (UXD), not solely UX, because people talk about the actual creation (design) of experiences. So it makes sense to use the term UX Design. 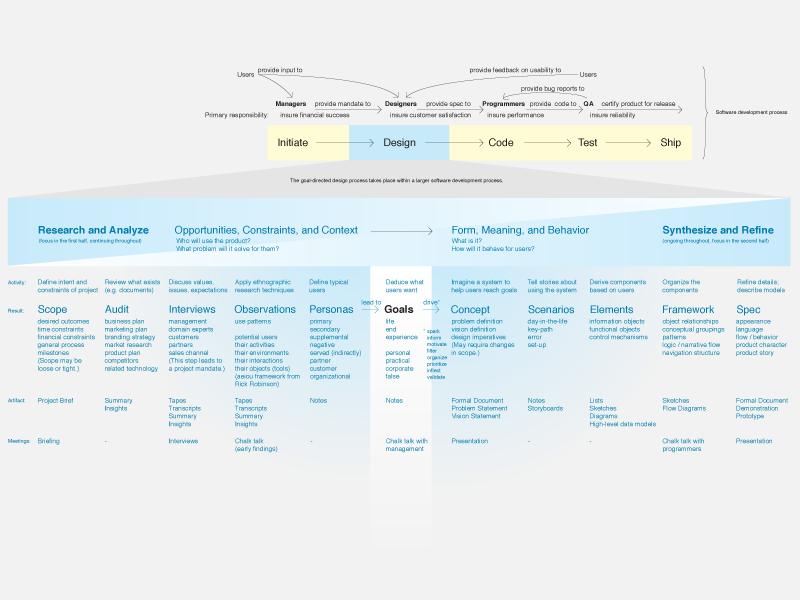 You can see it applied in the diagram by Dan Saffer which shows the disciplines of user experience design. As part of his book “The Elements of User Experience” Jesse James Garrett made a crucial contribution to the web world. He differentiates the web as a software (interaction) and a hypertext system (information) – both exist at the same time non-isolated from each other. UX, according to Garrett, puts the user needs and business objectives first in the design process. They are followed by functional and content specifications to eventually design the information, navigation, interface and visual appearance. From a broader perspective, “designing (for) experiences is fundamentally about people, activities, and the context of those activities.”, Steven P. Anderson says. The interesting observation is the dimension Anderson applies when he doesn’t talk about users but people, and activities and their context, not business owners with their goals. It widens one’s point of view because a whole ecosystem is affected by the the experience (see resource 7), not only two parties (users and businesses). Reading the goal-directed process Alan Cooper developed can feel overwhelming. Hence, it is very insightful and valuable for more in-depth explorations when you have the goal to create a mindset directed towards human-centered design. The next level of UX is human story experience design (HSXD) combining the lessons learnt from designing experiences with the power of (transmedia) storytelling and story-writing. More UX? 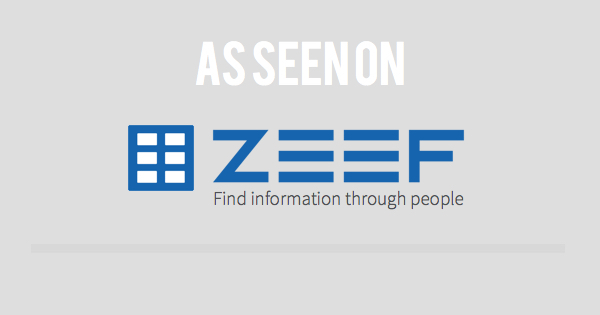 Explore my ZEEF page for more hands-on articles, guides, tutorials and blogs, there is still tons of UX information to discover. (You can also contribute to the page by suggesting other quality UX links).